Most inviting hostel ever! We had a great time, stayed for 2 more days and we were more than welcome! 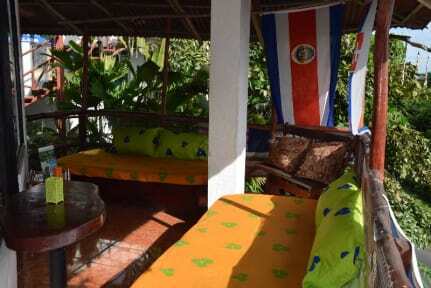 If you are looking for a hostel with a good atmosphere, stay here! And the busstop is literally on the doorstep, so you can go to the beach in a blink. Absolutly recommended. Chantel, the hostel owner, and the other hostel workers make guests feel welcomed and offer lots of recommendations for whatever you're interested in doing in the region. 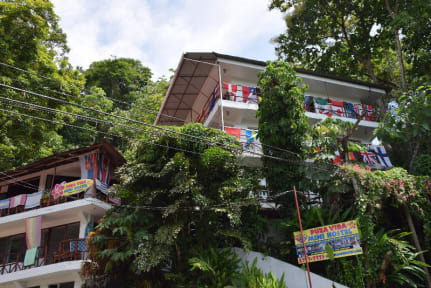 The hostel is conveniently located in front of a bus stop that takes you straight to Manuel Antonio or to the bus station in downtown Quepos. Bring ear plugs since passing vehicles can be noisey when trying to sleep at night! Otherwise, if you are fine with simple accommodations, then this place is all you need. Great staff and cool lounge area. Breakfast of pancakes was good and free coffee. Dorm rooms a little tightly packed. Location decent, can grab bus to MA right outside. No major complaints! It’s not in the centre of quepos or manual Antonio so u have to get a bus which is easy but not many places to walk straight from the hostel. It’s pretty fun down, the rooms and shower are pretty basic, even got an electric shock from the shower head. Free pancakes and coffee in the morning which is nice. Kitchen isn’t very clean. Staff were helpful and the owner is cool! It’s not luxury but it’s value for money. I got there, and the mattress was moldy. I checked another bed but it was also moldy so I moved hostels. Definitely wouldn’t stay there. Walked in, turned around and walked out.